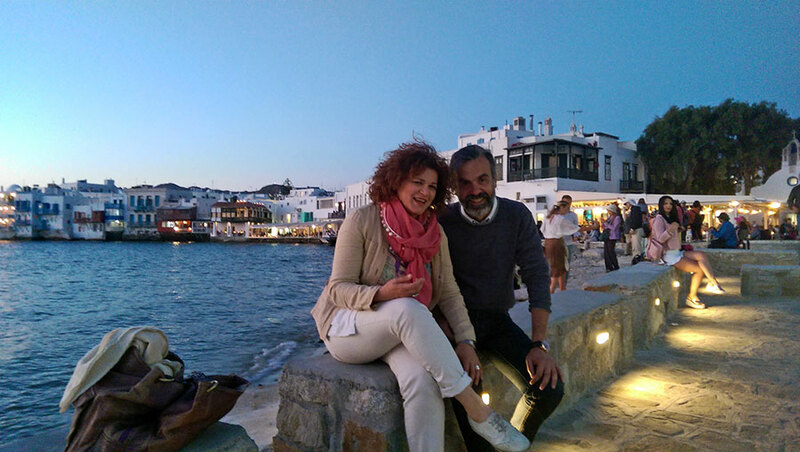 We are Dimitris and Zoe, two dreamers, Mykonians, partners in life and business who love and respect our homeland. Our company has newly appeared in Real Estate Business and Consultancy Services on the cosmopolitan island of Mykonos. Dreamyard is more than an ambitious business project. It is a concept that describes the way human activities may develop and people may evolve. It is the night sky full of stars and planets, each of which corresponds to an inner desire, wish, and/or expectation. The connection of our carefully selected bright stars will shape our unique constellation, an eternal imprint on the sky that mirrors our true nature. Back in real life, we commit ourselves at the disposal of all those owning properties on the island or wishing to acquire, rent, and/or manage one. We are knowledgeable, and skillful professionals, focused on customer care, based on mutual respect, confidence, and reliability. We are excited about starting collaboration with you in order to find the best possible solution that will adapt to your own wishes, needs and requirements. Join our Dreamyard and let us make your dream come true! Zoe drives Dreamyard’s strategic vision and manages public relations. Dimitris leads the daily operations at Dreamyard, including portfolio management and property consultancy.